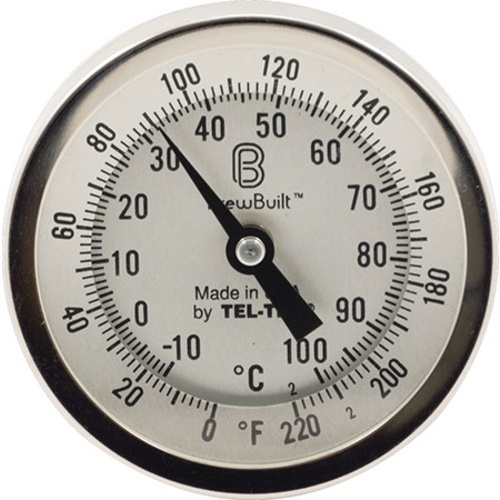 BrewBuilt Bi-Metal Thermometers are top-of-the-line measuring instruments, made in the USA by Tel-Tru manufacturing. 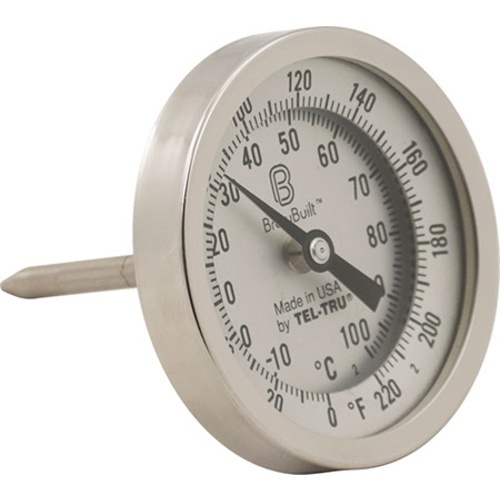 Maintain the overall precision of your brew system with these incredibly accurate and generally superior thermometers. These are produced according to strict standards, comparable to ISO9000 quality, and are set up with an 8 year manufacturers warranty boasting that quality. Bi-metal thermometers are the level of quality you want when a few degree difference results in a completely different malt profile on your beer. While a bit more expensive, you won't ever mess up a batch because of incorrect temperature readings. The 2.5" Stem is a perfect balance of being long enough to get accurate readings, while not protruding far enough to get hit by a wandering mash paddle or spoon. Are all bi-metal thermometers created equal? Not really. The problem with most bi-metal thermometers is that hang ups occur and you have to tap the thermometer to get an accurate reading. The cause of the problem is that the bimetallic helical coil in the stem of other bi-metal thermometers is tack welded to the stem itself. Our new line of thermometers feature a super sensitive bimetallic helical coil suspended from a copper coated bushing fixed in the stem. 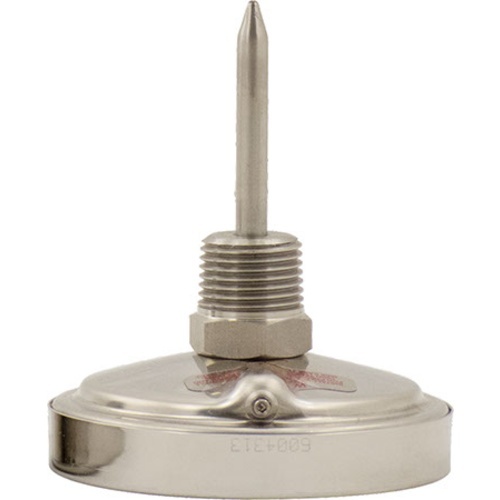 This superior design provides a faster response to temperature changes and assures more accurate readings. What does this mean? You don't have to tap the gauge with your finger as much. They are also accurate to 1% of the total range, feature a polished 3" 304 s/s housing, a hermetically sealed water proof case, glass face, external calibration capabilities, and a unique anti-parallax dial that provides for easy reading. The reading is actually taken from the last 2.5" of the probe.